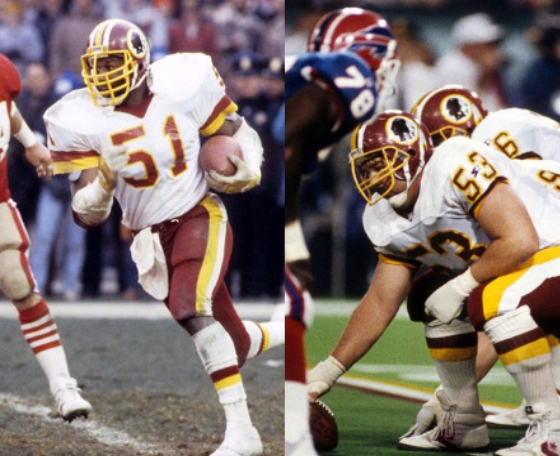 The Washington Redskins announced at the teams 54th Annual Welcome Home Luncheon that Redskins Greats Jeff Bostic & Monte Coleman will be inducted into the Redskins Ring of Fame. It’s a long time coming for both players, each were on all of the Redskins three Superbowl winning teams. Originally signed by the Redskins as a rookie free agent on Sept. 2, 1980, Bostic spent his entire 14-year NFL career in Washington from 1980-93. The man known as “Bosco” appeared in 184 regular season games with 149 starts for Washington. He also started all 18 postseason games he played for the Redskins. Bostic was a founding member of “The Hogs,” Washington’s famed group of offensive linemen that helped guide the franchise to four Super Bowl appearances and three Super Bowl titles during his career. In Super Bowl XVII, Bostic helped pave the way for a Super Bowl-record 276 rushing yards, guiding the Redskins to their third World Championship and their first Super Bowl title. In Bostic’s 14 seasons in Washington, the Redskins averaged 22.9 points per game (second in NFC, third in NFL) and 342.1 yards per game (second in NFC, fourth in NFL), including 214.3 passing yards per game (second in NFC, fifth in NFL) and 127.8 rushing yards per game (fourth in NFC, sixth in NFL). 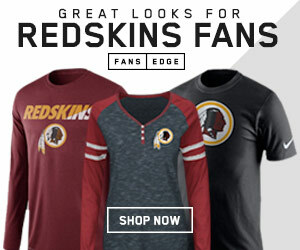 In that time frame, the Redskins compiled a 150-87 record (.633) in combined regular season and postseason play, the second-best winning percentage in the NFL across those seasons. A native of Greensboro, N.C., Bostic is a member of the Clemson Athletic Hall of Fame and the North Carolina Sports Hall of Fame. In addition to his extensive charitable work in the Washington, D.C. community, Bostic annually held a golf tournament to benefit the Hospice House of Greensboro in honor of his late mother, Sharron. Coleman was selected by the Redskins in the 11th round (289th overall) of the 1979 NFL Draft. Coleman’s NFL career spanned 16 seasons from 1979-94, all with Washington. 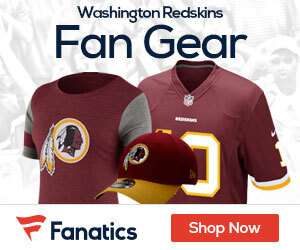 His 215 regular season games played are second-most in Redskins history, trailing only Darrell Green. Coleman was a model of consistency for the Redskins, appearing in at least 10 games in every year of his career with exception of the labor-shortened 1982 season. He also appeared in 21 career postseason games, including Super Bowl appearances following the 1982, 1983, 1987 and 1991 seasons. For his career, Coleman registered 1,002 total regular season tackles (650 solo), 43.5 sacks, 17 interceptions (three returned for touchdowns), 14 fumble recoveries and two forced fumbles, all according to STATS, LLC. Despite sacks not becoming an official NFL statistic until his fourth NFL season in 1982, Coleman’s 43.5 career sacks rank third in team history. He also unofficially registered 10.5 “sacks” in his first three seasons. Coleman is a native of Pine Bluff, Ark., and earned All-NAIA honors at Central Arkansas after compiling a school-record 22 career interceptions. During his time in Washington, he served as an honorary chairman for the Make-A-Wish Foundation in Virginia. Both Bostic and Coleman were named by a blue ribbon panel as members of the 70 Greatest Redskins in 2002, later expanded to the 80 Greatest Redskins in 2012. They become the most recent inductees into the Redskins Ring of Fame since quarterback Mark Rypien’s induction last season.